From the young couple looking to take their first step onto the housing ladder to the growing family needing more bedrooms and space - Bovis Homes will have something for everyone at their new developments currently being built across Devon. The national housebuilder has a proud history of building quality new homes in the county and although they have not been active in the area for a while, this welcome return feels just like coming home. "We're particularly pleased to be back building in Devon, which has been a traditional heartland for our business," said Regional Sales Director Barry Cummins. "And having been away for a few years we are now working on creating exciting new communities in Chudleigh, Dawlish, Exeter and Teignmouth." Some new properties have already been released for sale at Marine View in Teignmouth where there are three-bed homes available for less than £200,000. And more superb homes are on the way at Nickleby Place in Dawlish, The Heathers in Chudleigh and Herons Reach at Cranbrook in Exeter. "As 2012 gets into full swing we are building some superb new homes across Devon," said Barry. 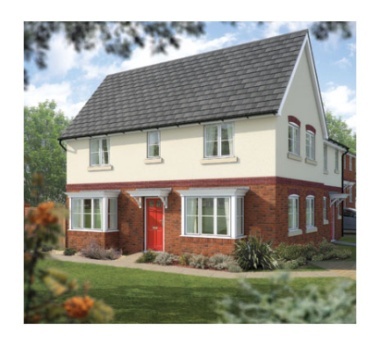 "And whatever kind of property you are looking for, at a Bovis Homes development you get quality contemporary homes built to traditional standards - with an industry-leading customer care programme in place to help buyers through the process. "Our level of activity in Devon shows the belief we have in the county, its economy and its housing market," said Barry. "And it will be especially exciting for us to help young Devonians back onto the property ladder - with the help, perhaps, of one of our purchase assistance schemes. "First-time buyers are the lifeblood of the market, and with rising rents we are finding that many are amazed at how favourable the monthly mortgage payments compare with the 'dead' money they had been paying to put a roof over their heads. For instance, using our Jumpstart shared equity scheme, you could move into a quality three-bed home at Marine View with an initial mortgage of less than £160,000 and a deposit of less than £10,000." Bovis Homes have also tried to ease the stress and budgets of Devon houseowners looking to move on with their Home Exchange scheme, which sees the housebuilder buying their old home and freeing them from chains and estate agents' fees.